While shooters and adventure games are a natural fit for VR, Owlchemy Labs’ Job Simulator is one of the most unique VR titles to date. 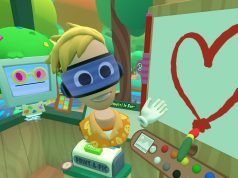 It’s a genre-defying mix of puzzle, humor, and, in a way, exploration, in a form that could only work in VR. A new trailer for the game shows exactly what kind of whacky but awesome moments you can have inside. 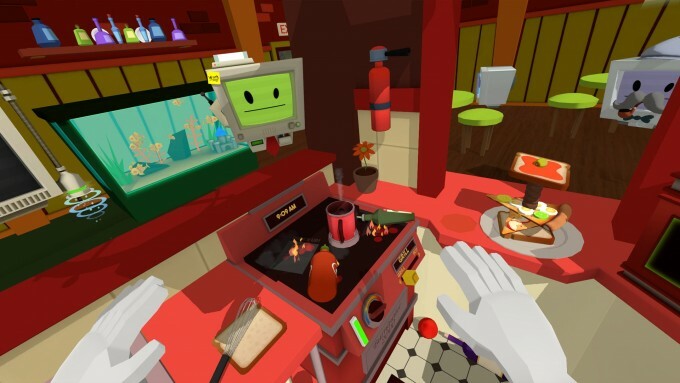 Job Simulator takes the parody-sim genre and turns it up to 10; it’s a vision of what human occupations were once like, as seen through the eyes of our future robot overlords. They took over our jobs so long ago that in the game you are literally inside a museum of jobs, seeing what it used to be like when humans worked for a living. And as with most history, some facts are exaggerated, others are lost, and some are just completely misinterpreted. It’s all presented in a uniquely funny way that even ties into the gameplay. In a sense, Job Simulator is actually an exploration game. While there’s task-based instructions to complete at every stage—like ‘make of sandwich’ or ‘check your email’—there’s no reason you can’t completely ignore them and experiment with the numerous tools and items around you to find out how they’ll interact. Developer Owlchemy Labs has cleverly placed easter eggs, both shallow and deep, to be discovered by those who go off the beaten path. I found during my playthrough that skillfully tossing an apple into the fish tank in the kitchen level would lead to the seemingly harmless fish having a feeding frenzy, spewing bits of the apple every which way. 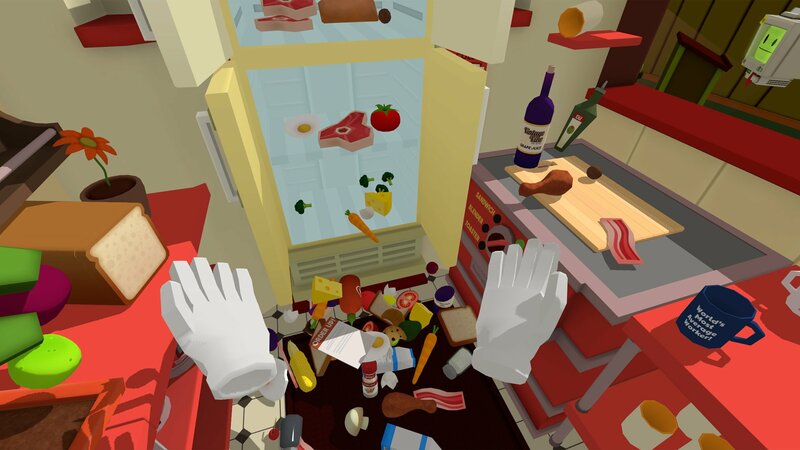 Shown off at the SteamVR Developer Showcase, the kitchen level has been entirely revamped since the prototype that had been a staple of the game as far back as the initial reveal of the HTC Vive at GDC 2015. The new level focuses heavily on usability improvements, with many of the kitchen gadgets (like the blender, sandwich maker, and toaster) all being part of one toggle-able counter area, rather than each appliance taking up its own space. The result is a polished and genre-defying VR experience that’s as directed or free-form as you’re willing to make it. Disclosure: Valve covered airfare and lodging for one writer to attend the SteamVR Developer Showcase. Will be playing this on the Pre on Monday, very excited to see it hands on. Looks like a goofy, yet fun, game.